The "Charioteers" Brendan O'Duill, Sean Potts provide entertainment at the Sligo v. Cork All Ireland Minor Gaelic Football Final, 22nd September 1968. 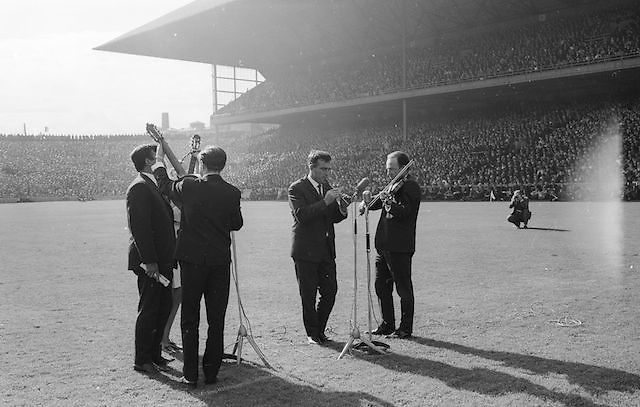 The "Charioteers" Brendan O'Duill, Sean Potts provide entertainment at the All Ireland Minor Gaelic Football Final Sligo v. Cork in Croke Park on the 22nd September 1968. Cork 3-5, Sligo 1-10.